Overactive bladder syndrome is a constellation of urinary symptoms such as urinary urgency, frequency, nocturia and/or urge incontinence. At times, it can be associated with painful bladder syndrome. While dietary modification and medical therapy can be effective, many patients are not able to tolerate the side effects of (anti-cholinergic) medication and/ or develop tolerance to the medication. 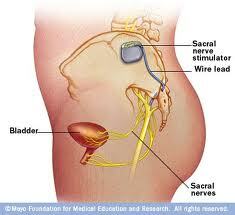 Sacral neuromodulation is a surgical device that has been utilised to treat many patients with medically refractory overactive bladder, painful bladder syndrome and urinary retention. While the exact mechanism of action remains to be elucidated, it modulates the afferent feedback signals in the bladder. 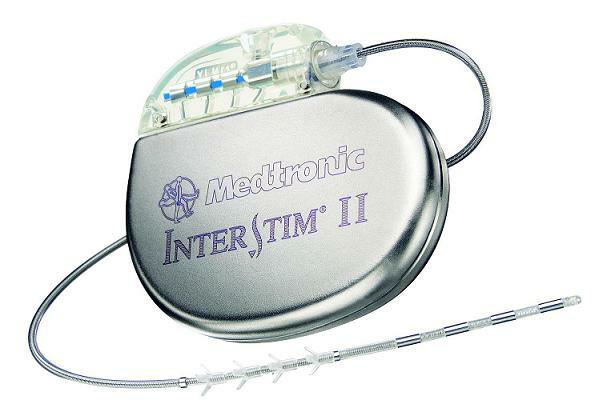 The implantation of sacral neuromodulation device is carried out in a 2-step manner; firstly a temporary lead placement to ensure that the treatment is effective, and then a formal device implant surgery after 7-14 days later. This innovative device has been shown to provide significant relief for many patients with medically refractory bladder conditions and has good safety and durable outcomes. In addition, many patients report improvement in their bowel habits following this surgery. As sacral neuromodulation surgery is performed under light general anaesthesia, you should have nothing to eat or drink for 6 hours prior to treatment. Regular medications can be taken with a sip of water with the exception of blood thinning agents (eg. warfarin, aspirin, clopidogrel) or non-steroidal anti-inflammatories which need to be stopped for 7-10 days. A mid stream urine (MSU) test is required to ensure the urine is sterile before treatment is undertaken. 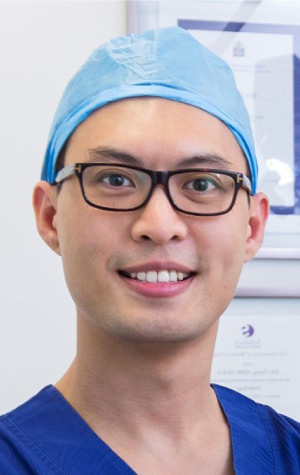 You will meet your anaesthetist prior to surgery who will take a thorough medical history. It is critically important to avoid any activity that involves straining or exertion for the duration of your temporary lead or at least two weeks following your formal device implant. Such activities include heavy lifting (for example, grocery shopping, picking up children etc). During this time you should not mow the lawn or play any sports that may involve some exertion such as golf or tennis.